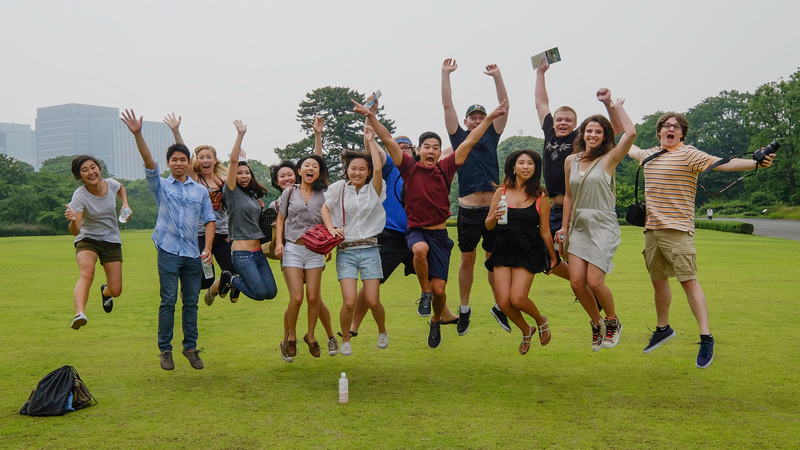 Early Tuesday morning the group visited the Tokyo Imperial Palace. We were immediately struck by the enormous ornate gates. We strolled across the gravel footpaths, admiring the lush foliage. It was quite impressive because we were able to see the foundations for the castles that once sat next to the palace. The scale of the peaceful complex was immense. We witnessed people painting the scenery, couples walking hand-in-hand together, and an older gentlemen napping under a tree. We took several fun group photos, including some in which we all jumped at the same time. 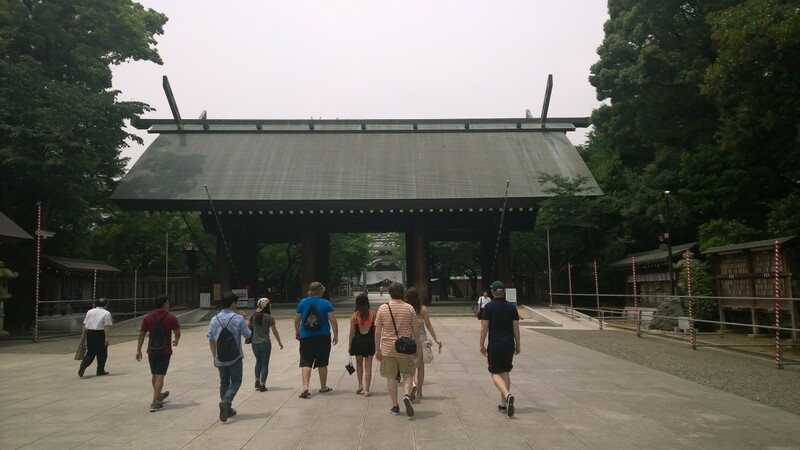 Next we visited Yasukuni Shrine, in which 2.5 million military casualties stretching back from the Meiji Restoration are enshrined, including fourteen Class A war criminals. We couldn’t take pictures inside of the shrine and the atmosphere surrounding the shrine was tranquil. If we hadn’t known the history, we wouldn’t have realized the controversial nature of the place. Next we visited the nearby WWII museum. Our professor asked us to figure out the narrative presented by the museum. We came to the conclusion that there was some definite fact-stretching in the museum’s representation of the war. One of the placards claimed the battleship Yamato crashed its way into the enemy fleet. However, the battleship sunk before it ever reached the fleet. The museum also presented the invasion of Manchuria and other countries in Southeast Asia as an action of necessity. The segment at the end of the museum showing the faces of the (mostly young) men and women who died in the war was particularly harrowing. The next day we were driven to Sky Tree, the imposing TV tower in the heart of Tokyo. 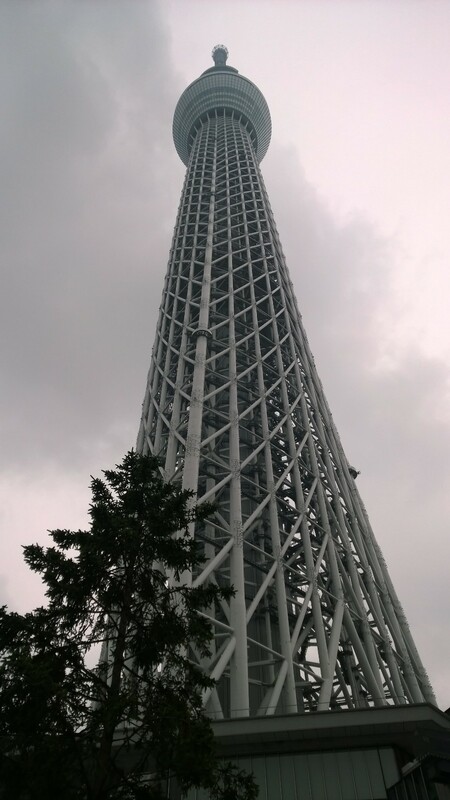 Standing at 634 meters tall, the structure rose into the overcast sky. We went to the mall where there were several stores selling merchandise related to Japanese TV. One store in particular had some colorful products related to Pokémon, anime and other popular Japanese television shows. Next we visited Asakusa Temple and the nearby vibrant, bustling market. In the market there were row after row of vendors selling delicious chocolate snacks, traditional Japanese masks and Hello Kitty umbrellas, among other unique things. The temple itself was a golden wonder with two statues, Fujin, the god of wind, and Raijin, the god of thunder, standing outside keeping watch. In front of the temple was a pit where people could place incense and waft the smoke onto themselves for good luck. There also were several enormous donation boxes where people tossed coins. If they tossed coins with a yen value including the number 5, they’d receive good luck. Some of us went off the beaten path and found smaller temples to lesser gods. It was amazing seeing a mix of holy stone statues with small stuffed animals placed at their feet. On the street, there were people pushing rickshaws down the road. After the temple, we went to the Edo-Tokyo Museum. The museum architecture was quite startling. The top half of the cement building juts out into space. It seemed like the two large pillars wouldn’t be able to bear the heavy load of the top half. Inside, we saw several items from the Edo period including books, detailed miniature replicas and outfits. It also contained works all the way from the Meiji Restoration in 1868, like samurai swords, to contemporary times, such as newspapers announcing Japan’s 2020 Olympic games. 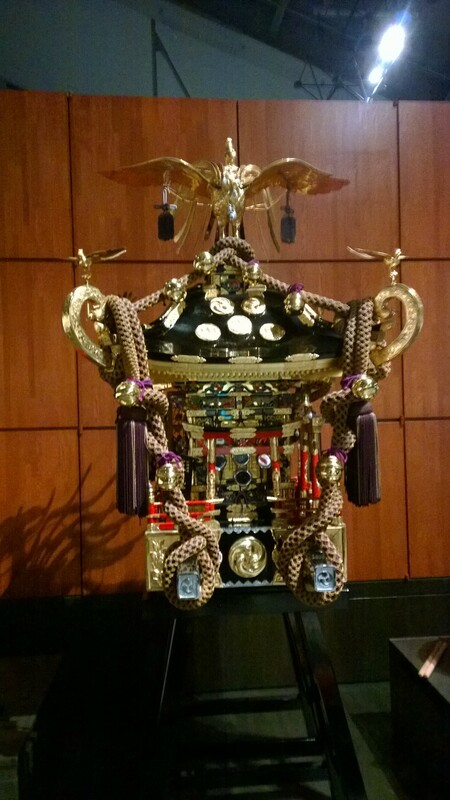 This entry was posted in Class, Tokyo by geajapan. Bookmark the permalink.